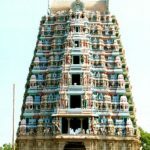 Sri Mariamman Kovil is another famous temple in Sivakasi. Sri Mariamman is the Goddess of the temple. “Kumbabhishekam” for this temple was held on 21-1-1983. “Kumbabhishekam” for the “Gopuram” of this temple was held on 6-2-1984. 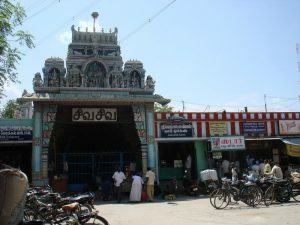 Sri Pathira Kaliamman Temple is a very famous temple in Sivakasi. Sri Pathira Kaliamman is the Goddess of this temple. 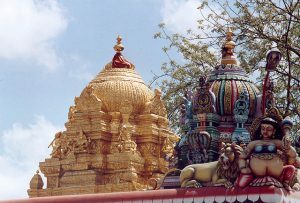 “Kumbabhishekam” for this temple was held on 11-06-1987. “Kumbabhishekam” for the “Raja Gopuram” (Main Tower) was held on 7-7-1995. Raja Gopuram has the length of 66 feets, width of 44 feets and the height of 110 feets of 7 stages. The base was constructed by stone, for 30 feets with 100 sculptures in 6 years. 80 feets of 7 stages was constructed with 30 architects within a period of 1½ year. It owns the biggest tower of all the Amman temples in India. Powrnami Puja is celebrated grandly on the full moon day. Large numbers of people come to worship the Goddess. There is a very beautiful garden in this temple, and it impresses the visitors to a greater extent. 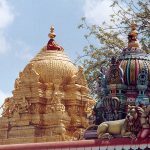 The magnificent tower of Sri Badrakaliamman Temple in Sivakasi has a glittering gold Kalasam that attract all newcomers. The temple itself is an expression of self-assertion by members of Nadar Community who were ill treated earlier. A separate committee called “Devasthanam Committee” was constituted to look after the routine affairs, like conducting daily pujas and sponsoring festivals. This temple has been periodically renovated since 1983-84. 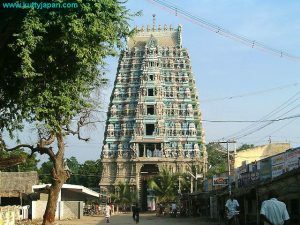 The Rajagopuram was constructed within the period of 8 years and is believed to be the tallest of all kali temple towers in the state. 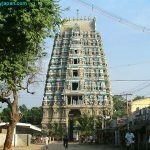 There are three sections among Christians which are Roman Catholics, Protestants and Pentagosthe and all the three groups have very old churches at Sivakasi . Roman Catholics constructed “Our Lady of Lord’s Church” on 1953 by Father Balaiya S.J. The area of the church is 60 cents of which 800 persons can pray at a time. This church is constructed in Portuguese style. About 11 Churches around Sivakasi are attached with it. The Church concentrates on making humanization through education, also works for the eradication of Child Labour. Protestants constructed “Rockland Church”. Mr. E.H.M. Waller started the work on 29-6-1917 and it took 8½ years to finish. In 29-12-1925 Thiru Packenham Walsh inaugurated the church.